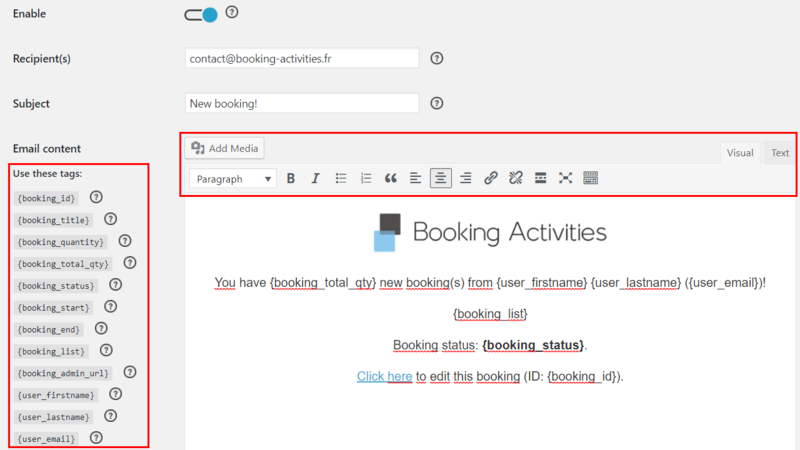 Booking Activities new version, 1.2.0, focuses on an essential feature for your reservations management: notifications. You will now be notified by email when one of your customers makes a new reservation, and when he reschedules or cancels an existing booking. In the same way, your customer will receive an email notification when you change the status of his reservation or when you reschedule it. Of course, you can choose whether to send the notification before performing the action in question. 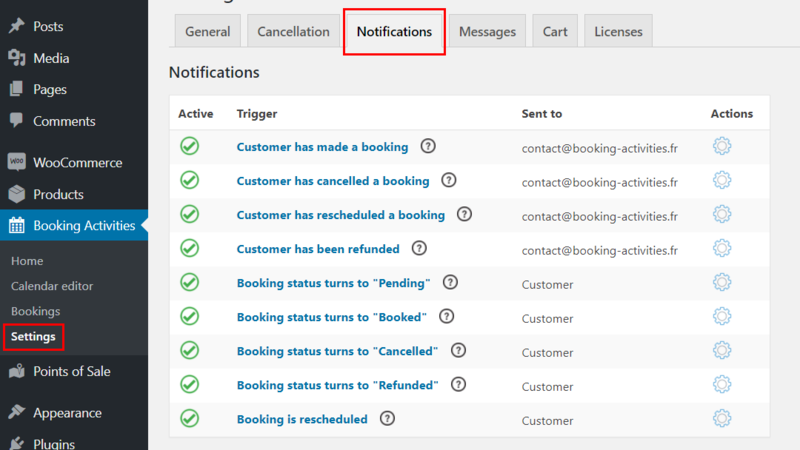 There are many scenarios resulting in the sending of a notification, and each of them is 100% customizable. 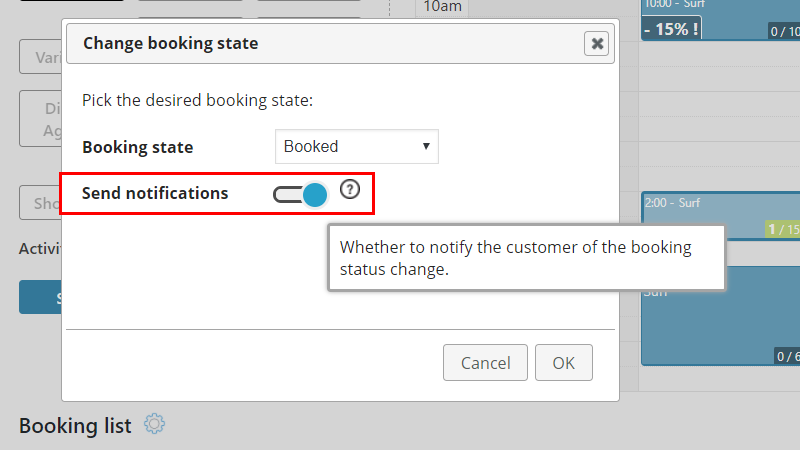 Go to Booking Activities settings, “Notifications” tab, to find the configurable notifications list. You can change the sender name and address so that your customers can identify the source of the email. The “Asynchronous Email” feature allows you to send emails in the background the next time you load a page (no matter which) on your site. So no one has to suffer additional loading time. Each email can be customized through WordPress editor, with HTML and CSS code, just like a post. Numerous tags are available to display variable data, such as the reservation list or the recipient’s name. Thanks to these two elements, you can send fully customized emails. 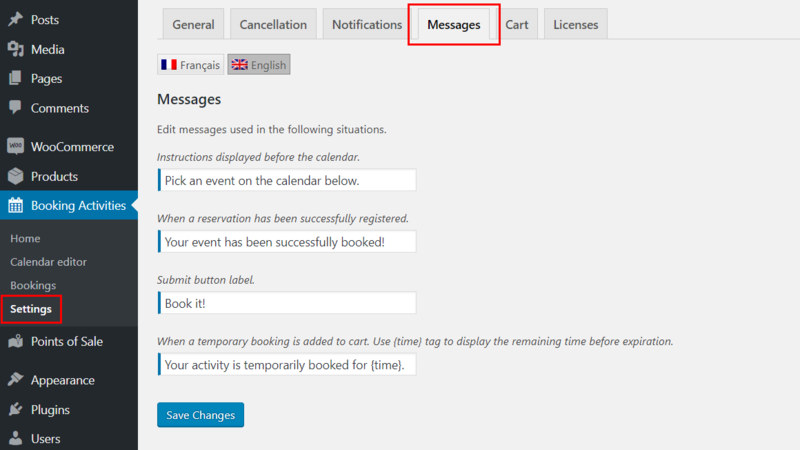 Finally, if you run a multilingual site with qTranslate X, emails will be sent in your customers’ language. This version also introduces a text customization tool. Some texts displayed on your site can now be modified directly on your own here. Of course, these fields are multilingual if you have qTranslate X. The list of customizable messages will be expanded later.